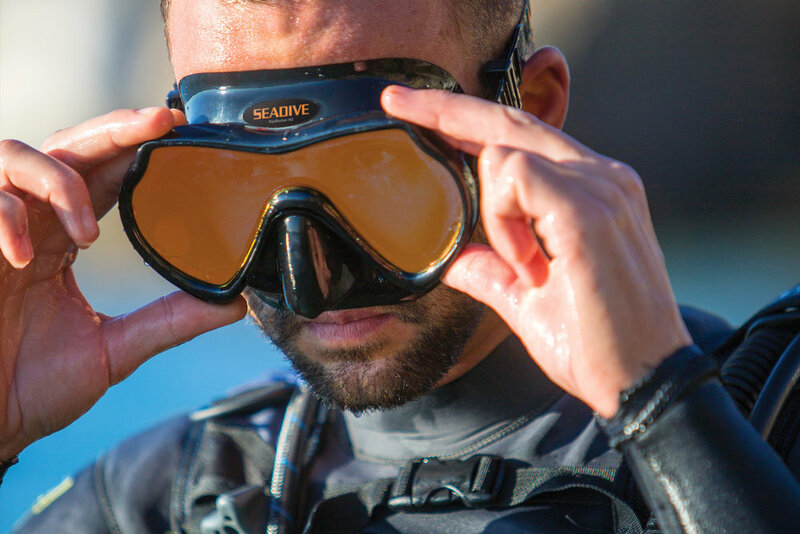 TrueColor coatings allow almost 100% light passage which provides higher definition vision underwater. Blue mirror coating outside reduces harmful UV rays and glare. Some lenses are rose colored on the inside. The rose filters out blue light making the warm colors of the reef (reds, oranges & yellows) more pronounced and vibrant. Some lenses are yellow colored on the inside. The yellow makes the environment seem brighter & provides better contrast. Upon surfacing, droplets don’t form on the glass, allowing unobstructed vision. The inside is resistant to fog. 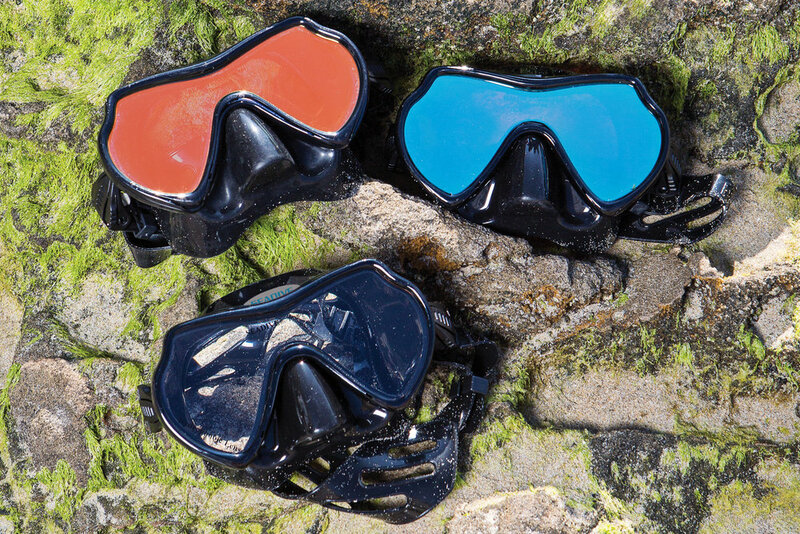 The Hydrophobic coating provides the best fog resistant performance of all Seadive masks.